Although this is not hat related I thought you might enjoy it. I made a beautiful (if I may say so myself) shawl as a christmas gift for my sister in law, and I posted a tutorial on the Burda Style website. Today it has hit 1000 views and because of that I’ve decided it deserves to be on my blog! 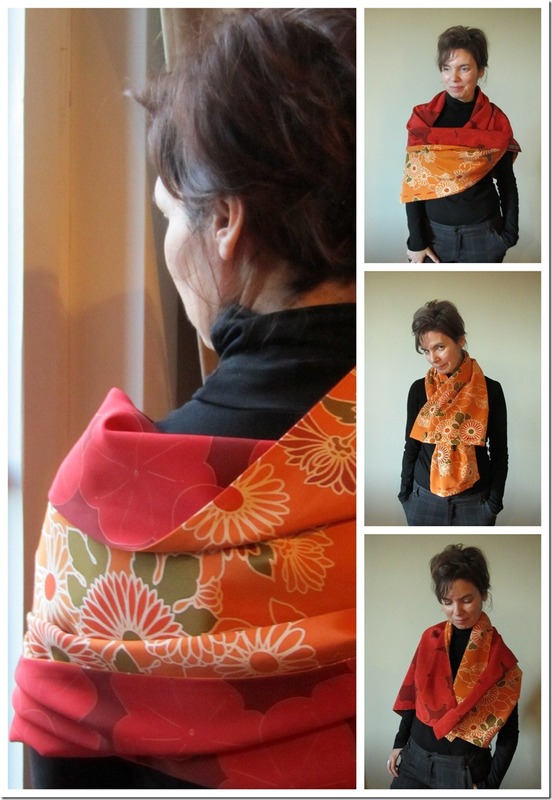 It is made using gorgeous kimono silk, and I suspect it looks particularly nice because my sister in law Helena is a pretty good model! If you happen to be in Madrid, or at a flying distance, you should not miss this opportunity to polish or kickstart your millinery skills at the atelier of Charo Iglesias. 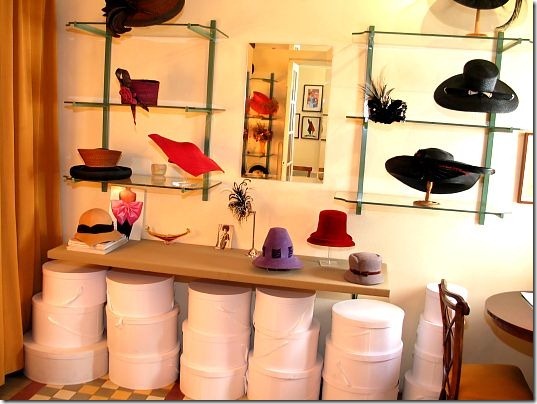 Charo is an “old school” milliner (meant as a GREAT compliment), her hats are made to haute couture standards, and she has a distinguished and faithful clientele. 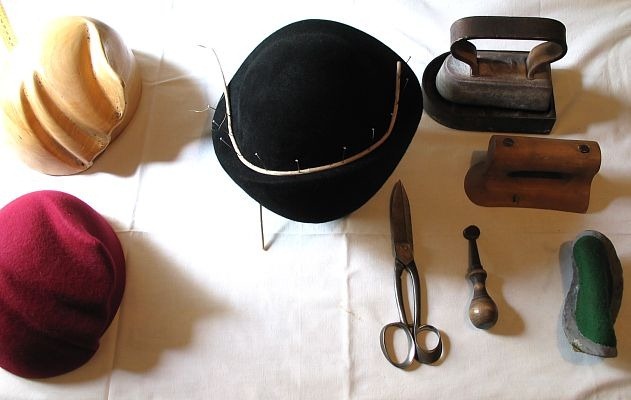 This is a unique opportunity to learn from one of the best milliners around, and to do it at her own atelier. The only knowledge required is knowing how to sew by hand. If you want details just let me know on the comments and I will email you the info I have (schedule, description of the course and prices).